At this point, pretty much every fashion girl knows all about Vetements. Even though it's just two years old, the design collective has gained cult status among the street style elite and major celebrities alike. So, trust us when we say the new exclusive piece we're about to introduce you to will be just as much a part of the obsession as any other. It comes from the brand's collaboration with SPACE, the Nordstrom boutique launched by Olivia Kim last year for emerging and advanced designers. This time around, Kim worked with a few select brands, Vetements included, to develop pieces only available with the SPACE boutique. The Vetements piece in question, a slouchy white graphic sweatshirt, is very typical of their signature streetwear vibes. However, with Kim's guidance, it comes in optic white to go along with the rest of the "Winter Whites" collection. Same classic silhouette, fresh new hue? Count us in. Scroll on to shop the sweatshirt for yourself, and be sure to click over to shop the rest of the boutique, too! 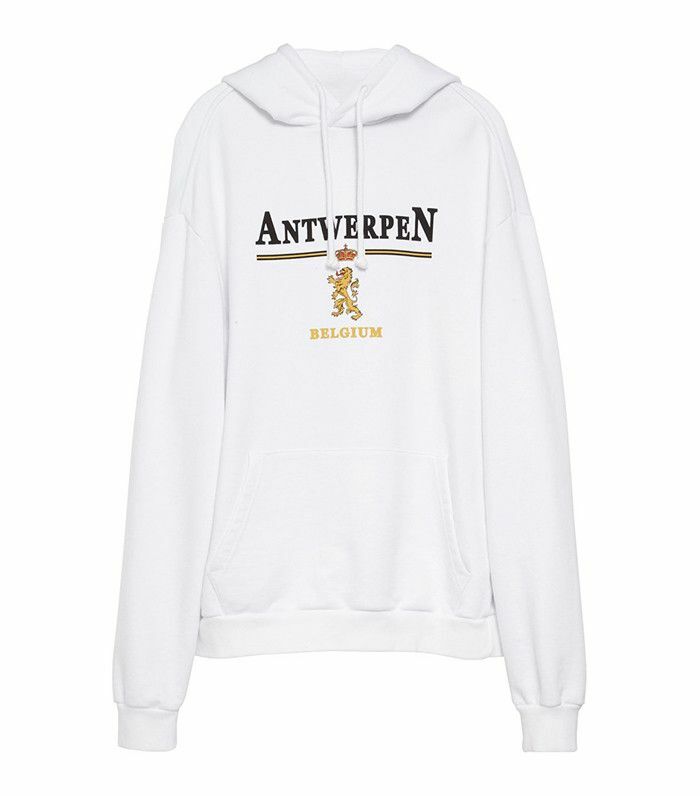 What do you think of the exclusive Vetements sweatshirt? Let us know in the comments below!